If You Don’t Read the Bible You Don’t Have to Live By It. Today I read an article titled, “Less Than Half of Christian Americans Read the Bible.” In fact, only 37% of self-proclaimed Christians pick it up on a regular basis. This is a real problem for Christian culture – a culture that is dependent upon sacred Scripture. More and more, our contemporary culture is turning away from the text as THE authority for a Christian’s life and thought. In his article, “Inerrantism as Narcissism: Biblical Authority as a Cultural Problem,” James Moseley points out that authority is a term of relationship and not of some special property. That is to say, whenever one claims authority, the people under that claim must agree, even if silently, that the claimant does indeed have authority! In a football game, if the players refuse to do what the referee says, does the referee have any actual authority? No – the players and coaches agree to the idea that the referees are in charge of enforcing the rules. Authority, then, is the ability to influence the thought and actions of others when those particular others have agreed to submit to the influencing agent. This is especially true regarding matters of faith. The term Christian carries with it (or should carry with it?) the notion of one who lives under Scriptural authority. 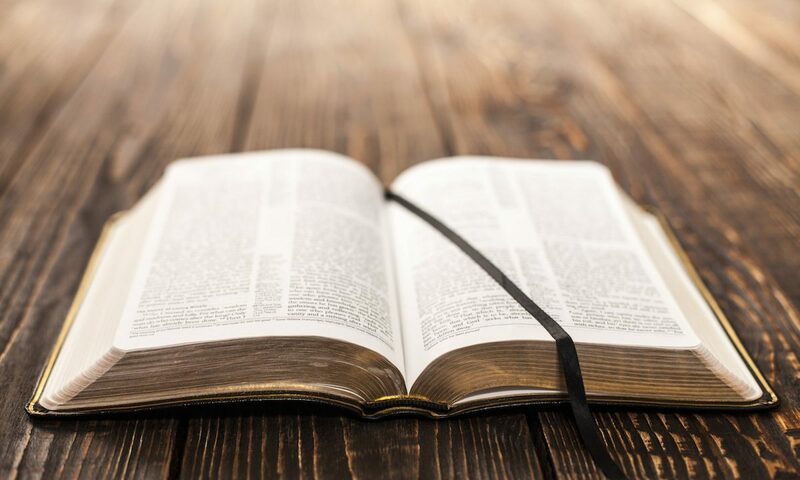 The conservative and liberal camps often argue how the Christian Scripture is authoritative, but I would venture to say that the average Christian acknowledges some manner of Scriptural authority. Scripture does not contain any authority in and of itself. It is authoritative because of the authority which backs it up. That is to say, the authority of God is exercised through Scripture. Technically, then, God is ultimately authoritative Scripture possesses a secondary or delegated authority. Scripture, though, pushes that authority upon the believer. There is a relationship between text and disciple and authority is given and received when the believer confesses that Scripture is the Word of God. This is the crux of the matter for the Christian and Scriptural authority. Scripture is only authoritative through faith. One cannot prove Scripture’s authority to a non-believer using rational arguments. Any confession of faith that results in authority yields both a sense of identity and a set of norms for faith and practice. It is the sense of identity that allows one to claim the title Christian, Muslim, or Jew. But with that confession (and thus the title) comes a set of norms for thought and action, i.e. any claim must be accompanied by life characterized by the claim. The confessing Christian acknowledges that the one true authority is God, yet the confession also acknowledges that God has revealed himself through human words. These human words form the norms and standards for that confession. But when people claim the title “Christian” and accept the sense of identity without accepting the set of norms we speak of them derogatorily as “nominal Christians.” This nominalism has led many biblical scholars, theologians, and pastors to proclaim a modern crisis of biblical authority. The expression “crisis of authority” assumes that Scripture should be normative for Christian thought and behavior. Indeed “Christian praxis” without the “Christian” is merely social action or moral behavior. “Christian praxis” without the “praxis” is merely mental assent to the possibility of the Christian God without allowing God to possess any practical power or authority to influence believers. We know more about the Bible than ever before yet there is a disconcerting lack of use of the Bible in everyday life. Scripture holds a special place in the Christian heart but sees little real function in terms of influence. Lutheran theology in particular seems to emphasize the influential and functional use of Scripture a mainstay of their theology, thus combating this lack of regular use. Scripture is not simply a repository of past revelation but is a current Word of God for the church with immediate authority. The application of this theology could be one of the most difficult aspects of Scriptural authority. While most Christians acknowledge the theoretical functionality of Scripture, allowing Scripture to be the major influencing force in life and thought is difficult. When we flat out refuse to allow our lives to be molded by the text, we have rejected the authority of the text. Yes, Christianity exists beyond the text. People followed God before it was written. Cultures without a written language still follow Yahweh. But the Christian faith was born into a textual relationship, understanding that God revealed Himself through the Old Testament and continued to reveal Himself through the inspiration recorded in the New Testament. A Christianity devoid of Sacred Scripture is not an authentic Christianity at all, but a cheap replica that desires to hold to the “nice” elements of faith without being accountable to the Word of God. Words are a funny thing. We use words to label people. We use words to label ourselves. Me? I label myself as a moderate conservative. In terms of religious beliefs, I tend to be conservative on issues of personal morality yet progressive on issues of social justice and care. Extremists on both ends miss the big picture. Those on the FAR RIGHT like to focus on personal piety and responsibility. Those on the FAR LEFT like to focus on social issues and justice but neglect personal righteousness and holiness. From my perspective, the middle ground is the place where the Church is supposed to live – caring about piety, personal righteousness, AND social issues and justice. My belief that the Church should occupy the middle ground is what drives my concern with the current issues brought up around the presidential race. Well, words are a funny thing. “Concern” is not the right word. I’m deeply troubled and bothered. No, this is not a post about politics. Rather, it is about issues brought up in the race and that are now part of the national conversation. So let’s talk about sexual abuse and the treatment of women. First, sexual abuse is NEVER okay. This is where the nation has split recently. I am grieved by the number of self-proclaiming Christians who brush off such language as “locker room talk.” While it may be the way those outside the Church talk about sexuality, it is NOT supposed to be the way Christians talk. It’s not just about behavior, but it’s also about thought. It’s not me saying this – it’s Jesus. Jesus liked to take Old Testament law that was based on behavior and revamp it to bring in motive and heart issues. In the gospels we see Jesus say repeatedly, “You have heard it said _________, BUT I SAY TO YOU _____________.” The law forbade murder; Jesus forbids hate. The law forbade adultery; Jesus forbids lust. It’s not just the action – it’s the heart. “Locker room talk” is a heart issue that grieves Jesus. Such talk demeans the Imago Dei, the Image of God, within our community. It doesn’t matter if it’s men talking about women or women talking about men – it has no place in God’s Kingdom. If the Church belongs to Jesus, then we ought to take a stand against such talk. This is where we return to my opening statement about living in the middle between personal piety and social justice. As a matter of personal piety, we should refrain from course and abusive language. Do not mistake “locker room talk” for anything other than abusive language. The idea of going up to a woman without consent and accosting her is sexual assault and abuse. Our righteousness should shudder at the very thought. On the flip side, our sense of social justice should cause us to rise up and defend those who are on the receiving end of this kind of abuse! Christian, we have a holy obligation to stand against the sexual abuse of our brothers and sisters. Yet too often we are silent. Time and time again we see the Church being a place where abuse is not dealt with. We may say that it is not acceptable, but we do not do anything to defend the abused or to make sure that the Christian Community is a place where abuse does not happen. I have some online interaction with Christian feminist and pursuer of Christian equality Jory Micah. You may not agree with everything she talks about, but her passion for protecting women from abuse and abusers is admirable. In her passion and zeal, she even told women that, if their church is not a safe place, then it’s time to move beyond the walls of their church and out among the marginalized where it’s safer. Yes, that’s a paraphrase from my memory, but that was the gist of it. And she set off a horde of detractors calling her “Jezebel,” “heretic,” and other nastiness. While her words seem abrasive, please hear the motive behind it. As a minister, I would never tell an abused spouse to stay with the abuser. Even though I don’t suggest divorce, I do NOT tell people to remain in abusive settings. I counsel people to get out of the abusive home and find safety. Likewise, if the system is abusive, why do we counsel abused people to stay and keep getting abused? This is a condemnation on the Universal Church, but on local churches that do not protect abused people or seek to create a safe community. I had a chance to talk with Jory and ask her some questions about faith. She is part of a church planting team. She believes in the One true God and the Deity of Jesus. She fully affirms Acts 4:12 that “salvation is found in no one else, for there is no other name under heaven given to humanity by which we must be saved.” No, this isn’t heresy she’s promoting – it’s an attempt to move people out of harm and into a safe community. Allowing abusive language and behavior to remain in our midst does not do justice or love kindness. All Christians should denounce “locker room talk” for what it is – it is ungodly and abusive language. We should NOT be making excuses for it, nor should we diminish the weight of the words, no matter who it comes from.